Factory FN / FNH P90 3 Position (S,1,A) Billet Aluminum Selector switch. Functions as a in both P90 and Ps90 units and will not change function on a semi auto PS90. 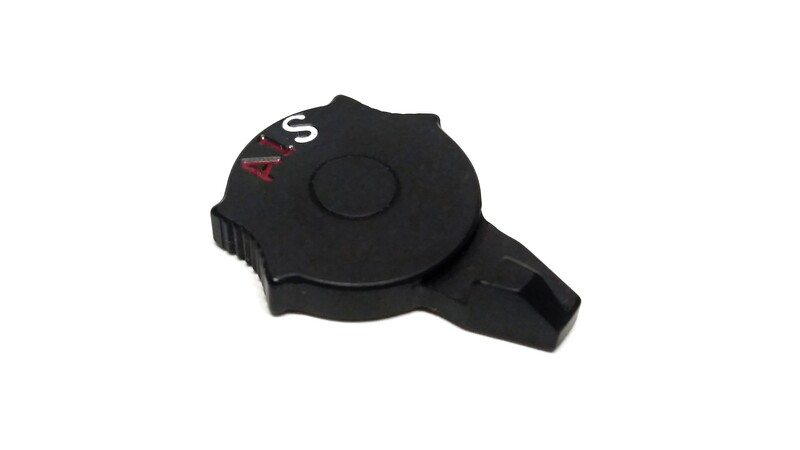 Perfect to replace a worn or damaged post sample selector, or to give your semi auto the look of the original P90. Factory polymer selectors have ink printed on polymer and wear off. Billet selectors have engraved letters for and aggressive texture for positive function and identification.